Making a consensus on "local management" - Based on Kyoto Breast Cancer Consensus Conference 2009 (April), The Local Management of Primary Breast Cancer, edited as an academic handbook, covers cutting-edge treatments on breast cancer with the best expertise from the world. 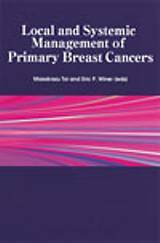 Local management approach to breast cancer enables concerning clinical physicians to provide patients with the best treatment depending on each condition. The volume wraps up well-balanced correspondence of detailed follow-ups to clinical data in 9 chapters with its deliberative process (from questionnaires, voting results to succeeding discussion) appended to each session.